Finally it’s sweater weather! The cooler temperatures have arrived which call for cozy, warm sweaters. Lace-up tops are still on-trend, so I picked up this cute lace-up, long sleeve sweater at Marshalls. Not only do I love the lace-up detail, but I love that it’s pink!! I don’t have any pink sweaters in my wardrobe, so I had to buy it! It’s a bit short in the length, so I wouldn’t wear leggings with it, but I did pair it with my light washed distressed skinny jeans. To finish off the look, I wore my grey booties, and my Tory Burch cross body bag. I love these booties so much that I want to look for another pair in a different colour, just with a shorter heel this time. Today once the kids got home from school, we put up the Christmas tree. I added all the other Christmas decor around the house last night, but I left the Christmas tree until last so the kids could help me decorate it. They are so excited for Christmas! Favourite Accessories from the Shopbop sale! Quick Meals with Hello Fresh! 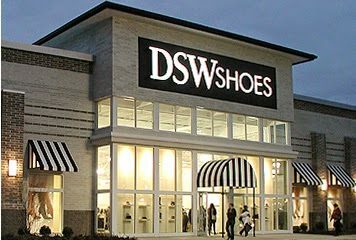 DSW Inc comes to Canada! 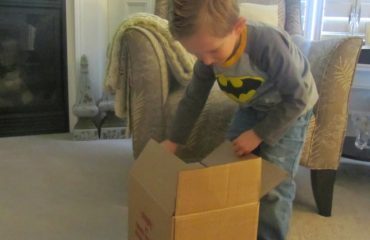 Add Treehouse Ultimate Collection Cube and/or Zack & Quack DVD to your kids Easter Basket!